Rockstar Games is continuing its streak of bringing back old Adversary Modes with a new twist as part of the Remix series. 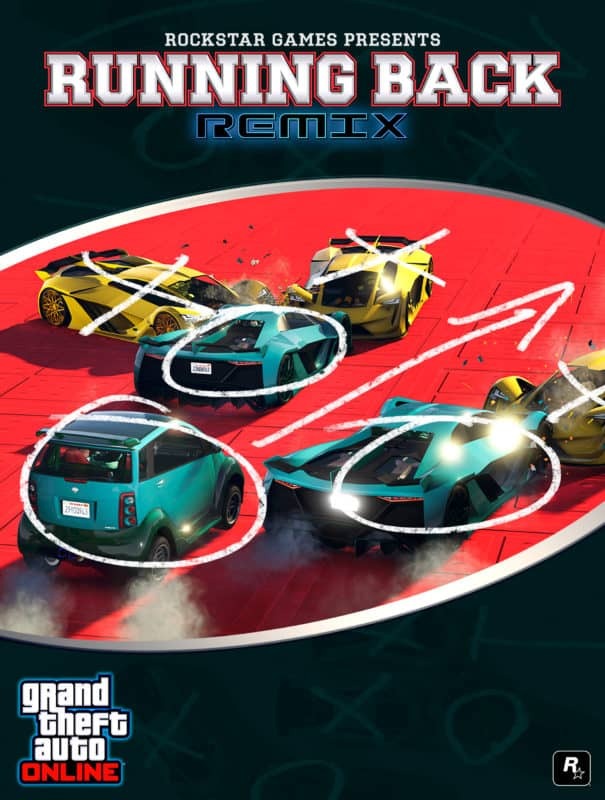 Rockstar Games is continuing its streak of bringing back old Adversary Modes with a new twist as part of the Remix series. New log-in rewards and business opportunities are also hitting Grand Theft Auto 5 alongside the usual weekly discounts. We've previously seen remixed versions of Trading Places and Hunting Pack. Joining the club now is Running Back, an ill-fated mode seeking to replicate American Football with cars. The original mode wasn't particularly well received which makes its selection for the remix treatment odd. However, the concept "football but with cars" is on paper a good one - just look at Rocket League. Considering the shortcomings of the first variant plus the potential of the concept it's even more baffling how little has changed. Running Back Remix makes use of the relatively new Tezeract supercar and changes the scenery, but that's it. No new mechanics, no new rules. Since there is a double GTA$ and RP promo going on for all 7 tracks we suspect you'll have no issue finding players for a few days, but after the promo is up this mode is likely going to die down. Rockstar has seemingly changed course with regards to their log-in reward plans. Instead of clothing, we've seen an increase in liveries being handed out (sometimes alongsideclothing) and this week is another such occasion. So long as you hop into Los Santos before the 24th, you'll get a pair of Santo Capra Coins Liveries - one blue for the HVY Menacer and one yellow for the Pegassi Oppressor MK II. Returning from last week is the double buff on Nightclub popularity gain from management missions. Switching out double rewards from business battles this time is a 25% bonus on all Nightclub Warehouse and Biker Business production, allowing you to move goods quicker. The range of items on discount this week isn't quite as wide as it usually is, but the rate of discounts is higher. 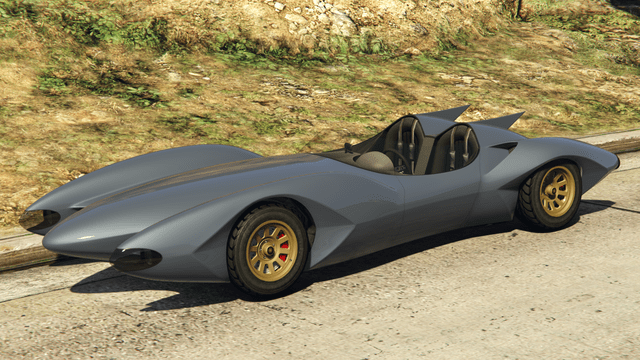 The Declasse Scramjet, a pretty recent vehicle, is 30% off alongside the Ubermacht Sentinel Classic, and that's the lowest percentage. The Buckingham Akula, the TM-02 Khanjali, the Mammoth Avenger, the HVY Insurgent Pick-Up, the Pegassi Zentorno, the Pegassi Tempesta, the Karin Armored Kuruma and all Mobile Operations Center cabs are 40% off. Boosting your business portfolio is key to earning big in GTA Online and discounts on various properties will help you in that regard. Facilities, Hangars and Bunkers are all 30% off, while Special Cargo Warehouses and Bikers Businesses are both 40% off. Check back next week to see if Rockstar continues the Remix series.